Tracks information about TV shows, add iCal alerts. Is there a better alternative to TV Series? Is TV Series really the best app in Video category? Will TV Series work good on macOS 10.13.4? TV Series is a user-friendly app that easily stores all information of your favorite TV Series. 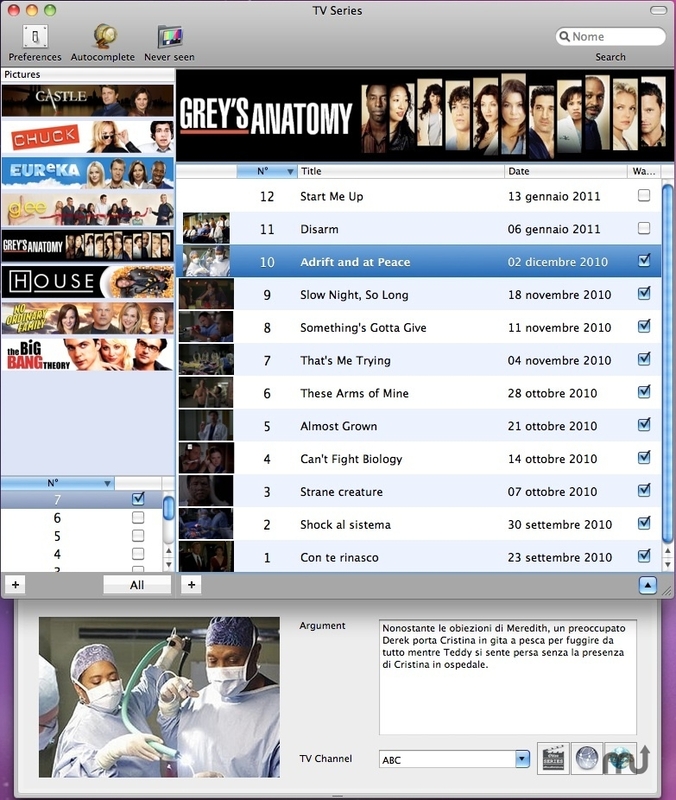 Automatically find and download all information from TV Series, or insert and edit them manually. TV Series can also automatically manage an iCal calendar, so you'll never forgot and episode of your loved TV Series. Files should be hosted at a location that will remain available indefinitely.